as in… 5 weeks until I leave for Germany. Crazy, you guys. Crazy. In just over a month, I (and somehow a year’s worth of luggage, but we’re not thinking about that yet) will be boarding a plane to Dresden. I’m not sure yet what function this blog will have during my time in Germany. I imagine I’ll post some pictures, share some stories about my intercultural experience, tell you about my travels, etc. Maybe I can even post some research drafts and get some free editing? Eh? In any case, I can’t do any of that yet, so I figured I would post some information about what I’ve been doing to prepare for my departure. Just in case anyone is interested in the DAAD or a similar exchange program. Or in case you’ve been wondering why I haven’t been hanging out with you. Or in case I ever have the urge to research abroad again, so I can immediately talk myself out of it (just kidding (I think)). I obviously still have a lot more to do. For instance, I have not begun to think about packing, or cleaning out my room (which I need to do because my parents’ new tenant, fittingly a German exchange student/intern, will be living there starting in October). However, I am finally at the point, having completed the daunting apartment search and seemingly endless paper trail involved in being accepted to a German university, that I can actually be excited about going to Germany! I haven’t even had time to think about it! My research project will expand on some ideas I wrote about in my senior thesis about German river management. I wished that I had been able to delve more into the contemporary history of German water management and the development of the EU’s water legislature, but time, resources, attention span, etc. didn’t allow for much additional research. Thus, I will be more focused this time around! I will concentrate on one river (the Elbe, which flows through Dresden) and the agencies and organizations that govern and manage it. I’ll concentrate mostly on the contemporary period (1989-present), though because Dresden is in the former German Democratic Republic (East Germany), I’m sure that will come into play. My favorite reaction to the news of my research still makes me laugh when I think about it. The friend in question asked me what I would be studying in Germany. When I told him (accurately yet maybe too simply) “rivers,” he blankly stared before asking, “Are they going somewhere?” Alas. I will be staying with a German family for the first 4 weeks of my time in Dresden, an opportunity I am looking forward to immensely. I didn’t do GAPP in high school and I lived in a lonely dorm room when I studied abroad, so I leapt at the chance to live with a real family who knows the city, will speak German with me, and will hopefully help me as I start out in a new place. I will be a temporary member of the Braun household (no relation to Ryan); the family seems very nice and inviting, and I am so glad it worked out. From October on, I will be living in an apartment very near the university with a lovely German roommate named Aggi (while attending a university called TU–the Longhorn in me dies inside). I was very fortunate to find her, and if the Skype tour I got last week is any indication, the apartment will be a wonderful home for the 9ish months I will be there. Much more welcoming than the smelly, lonely, gross dorm room of yore. 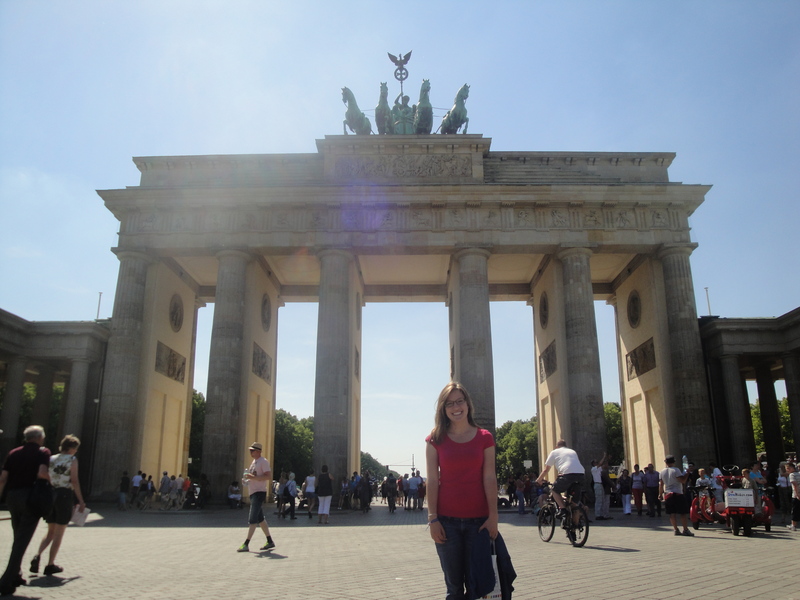 When I’m not researching/taking classes and making German friends, I do plan on traveling a bit. My only definitively-planned trips so far are to Cologne (in October for DAAD orientation) and to Prague (for Christmas with my family). I also plan on making trips to Rome for John Paul II’s canonization, Spain to visit my boyfriend once he gets there in the spring, and Poland with some family members including my Polish grandparents (hopefully!). I am also toying with the idea of doing a full-out Eurotrip during my semester break, though that will depend on money and the progress of my research. Any suggestions for Things I Must Do or Places I Must Go?